Andover Subdivision in Franklin, TN is located conveniently off of Liberty Pike near Royal Oaks and Mallory Lane. This community was not built to be a walking community but it has become one as CVS pharmacy/drugstore and other small retail and dining outlets have popped up in walking distance to this neighborhood. Access to I=65 is great for this Franklin subdivision with the addition of the new McEwen bridge. What you will find in Andover are Single Family Homes as well as Townhomes that are built from brick with vinyl trim. Prices range from $250,000 to almost $400,000 in Andover. The design of this subdivision is such that it is not used as a thorough fare, so traffic should be minimal in the neighborhood. Contact The Relocation Engineer to learn more about Andover subdivision homes for sale or to get a valuation on your home if you are considering a sale. 615-587-5843 is the best way to reach me to set an appointment. Curious as to the 22 Questions that you should ask a Franklin Agent before selling? 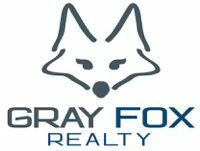 GRAY FOX is ready to save you thousands (or even tens of thousands) on the sale of your next home. 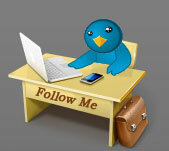 Call 615-656-8181. & Licensed in both TN & NC.